This year, the fall fest was pushed back so more students can come. 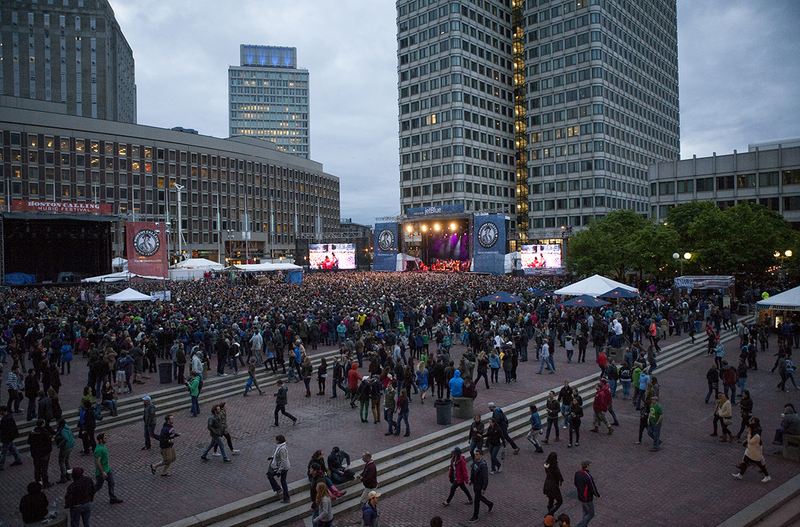 By Bryanna Cappadona·	 4/30/2015, 10:26 a.m.
As Boston Calling gets ready for its spring 2015 edition taking place over Memorial Day weekend, the festival announced its new dates for its fall 2015 series happening this September. In a change of events this time around, the fall concerts are happening later in the month, September 25 though 27. While Boston Calling’s fall edition is known for taking place over Labor Day’s long weekend, the new dates are moved back this year to accommodate the students arriving in the city later in the month. Boston Calling also announced its pre-sale for three-day tickets to the September festival. Beginning on Friday, May 1 at 10 a.m., the passes will be specially priced at $110 for general admission and $250 for VIP. These will be the lowest priced tickets. The lineup for September’s edition will be announced at the upcoming Boston Calling festival in May. This spring 2015 edition of Boston Calling will feature headlining artists like Beck, My Morning Jacket, Pixies, and more. View the full May lineup here. Boston Calling’s Fall 2015 pre-sale begins May 1 at 10 a.m. on ticketmaster.com. Ticket prices range from $110 to $250 for three-day passes.